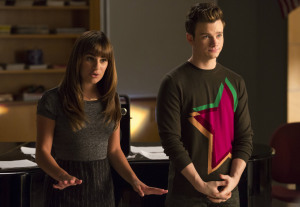 Advance Review: Is Glee's Sixth Season Premiere An Improvement? 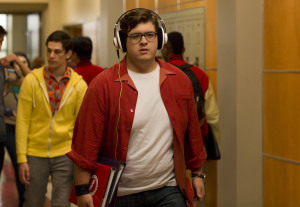 Advance Review: Is Glee’s Sixth Season Premiere An Improvement? Those are lines from Will Schuster in the sixth season premiere of Glee, which airs this Friday, January 9 on FOX. FOX is starting the season with two episodes, “Loser Like Me” and “Homecoming,” and one of those episodes is considerably better than the other. The line could also be referring to a recovery for Glee after a few so-so seasons that haven’t been as popular as the show’s debut had been. New characters for Season 6 also include a pair of twins, Mason and Madison, played by Billy Lewis Jr. and Laura Dreyfuss. They’re Cheerios, and while you’d think being the boy cheerleader would equal that he’s gay, they say he’s not. The new character who is gay is Spencer (Marshall Williams), a self-described “post-modern gay” who is part of the football team. He’s also kind of devious. Finally, there’s Jane played by Samantha Ware, who might become the first female Warbler in the history of Dalton Academy. Ware also has a very powerful and commanding voice, different from much of what we’ve heard before on the show. As I mentioned, Hour 1 is the weaker of the two episodes, and it’s spent mostly setting up what the sixth season will be. There are standout moments — a crack at what happens to fired TV network presidents is hilarious, and Lea Michele’s rendition of “Let It Go” was inevitable but great. That first hour, though, is little more than setup and drama. I know Glee is a series about underdogs, but I don’t want to see them failing. I want to see them growing. I’m glad to see Rachel is certainly growing as a character, but the Kurt and Blaine drama is so done already. (Though there’s a nice shoutout to Sebastian Smythe, though they missed the opportunity to make a Flash joke at his expense). Years ago, I’m pretty sure Ryan Murphy said in an interview that he didn’t want the graduates to be hanging around in the way that Fonzie became a teacher in Happy Days, but that’s basically what’s happened. We know from the trailers that Rachel returns to Lima to revive the New Directions. She’s not the only one who is back – but I also admit some of those returns, while brief, did make me happy. It’s like watching a reunion movie of a show that ended a few years ago. Maybe, like Mr. Schue’s line referenced above, they can and will come back from it. I admit as a viewer, I dropped Glee with the Finn memorial episode, “The Quarterback.” There’s a line in that episode where Santana says that Lima is a reminder of what’s not there anymore, and that told me as a viewer it was okay to move on as well. Maybe that’s the intention of Glee’s sixth and final season – to bring back that feeling, so it is there again. They get to go out on their own terms, and I do like it when a series reaches an intended and proper conclusion. If “Homecoming” is an indication of what’s in store, I’m definitely interested. Photos from the opening episodes of Glee Season 6 can be found here.